Finally, a free standing plate holder for creating the perfect arrangement! Great for fruit, candles, dried flowers or whatever you can think of. 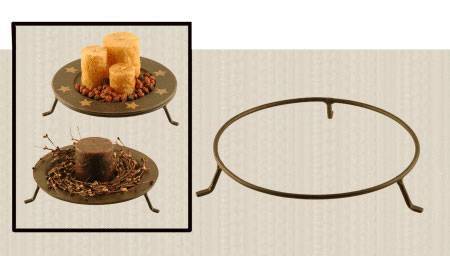 Stand comes in small (4 3/4" diameter good for 5 1/2" to 6 1/2" plates), medium (7" diameter good for 7 1/2" to 8 1/2" plates), Large (9 1/2" diameter good for 9 1/2" to 11" plates). Great way to create a look!